If you have ever had the problem of using automatic pet feeders that get food stuck on the inside then this pet feeder is the solution you have been looking for. 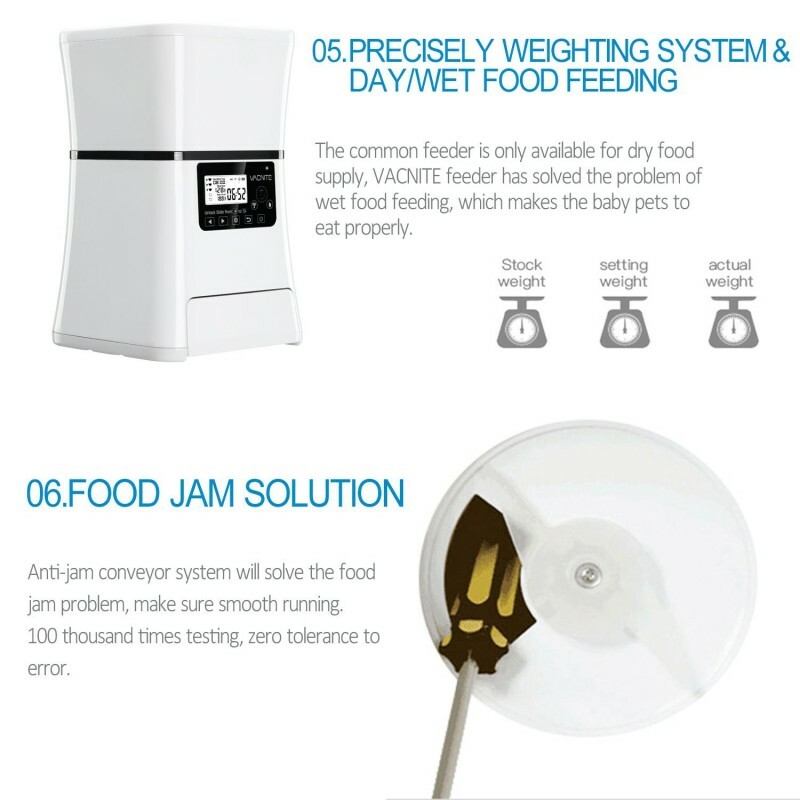 It is designed with an anti-jam food conveyor that works to eliminate the chances of food getting stuck on the inside of the pet feeder. 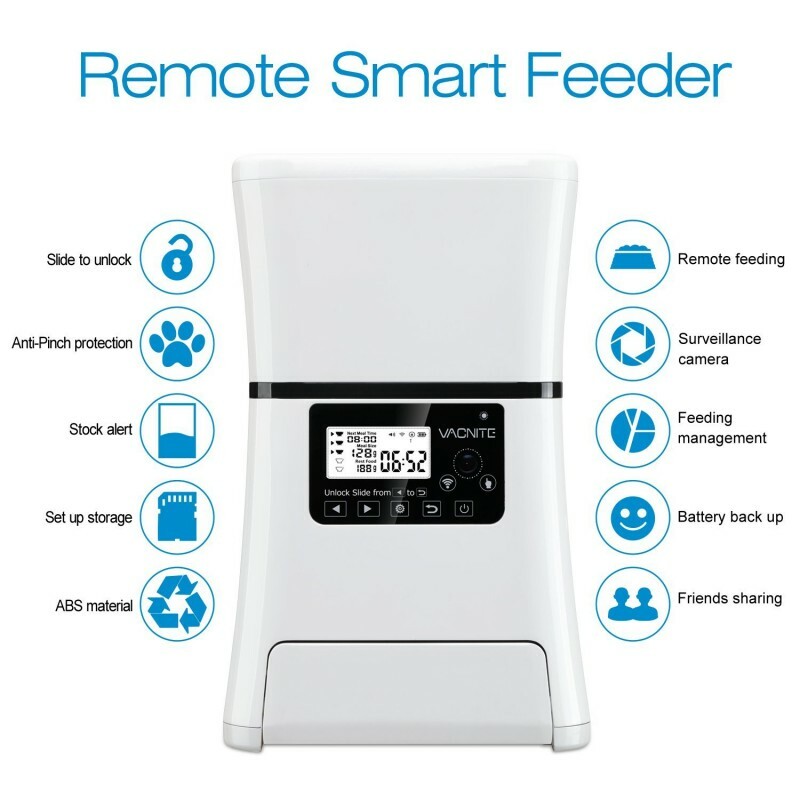 You can also choose from two feeding modes that will enable the feeder to specify the exact times that your pet is going to be fed. 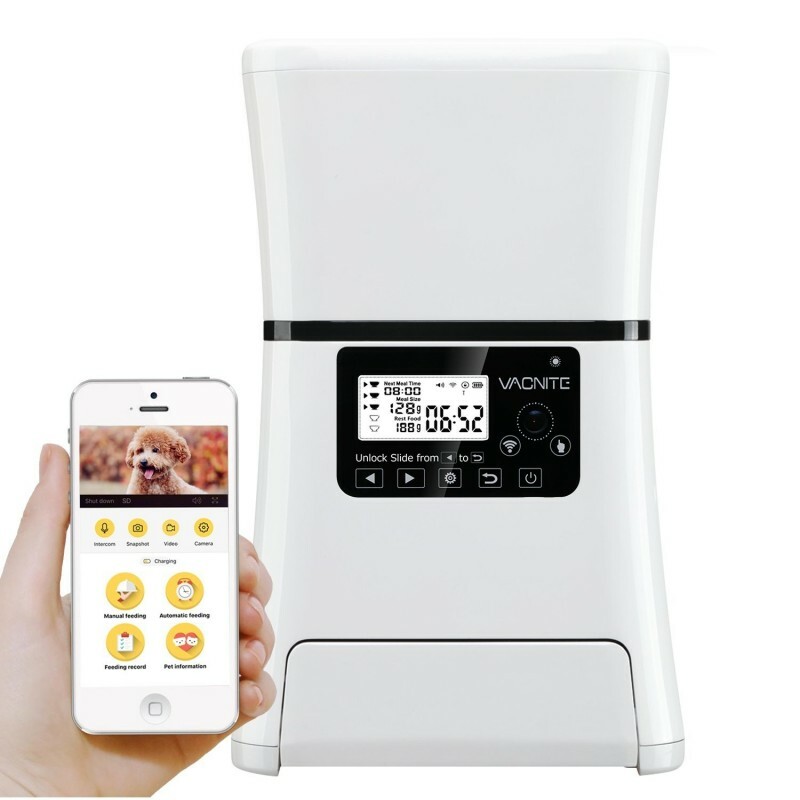 For the purpose of interaction, the feeder comes with a camera and voice device you can record your voice to comfort your pet while feeding. Its only issues are that it does not accommodate 5 GHz Wi-Fi and has a noisy alarm alert for feeding time. You can control it remotely or when you are away thanks to its smartphone app that is compatible with iOS and Android devices. 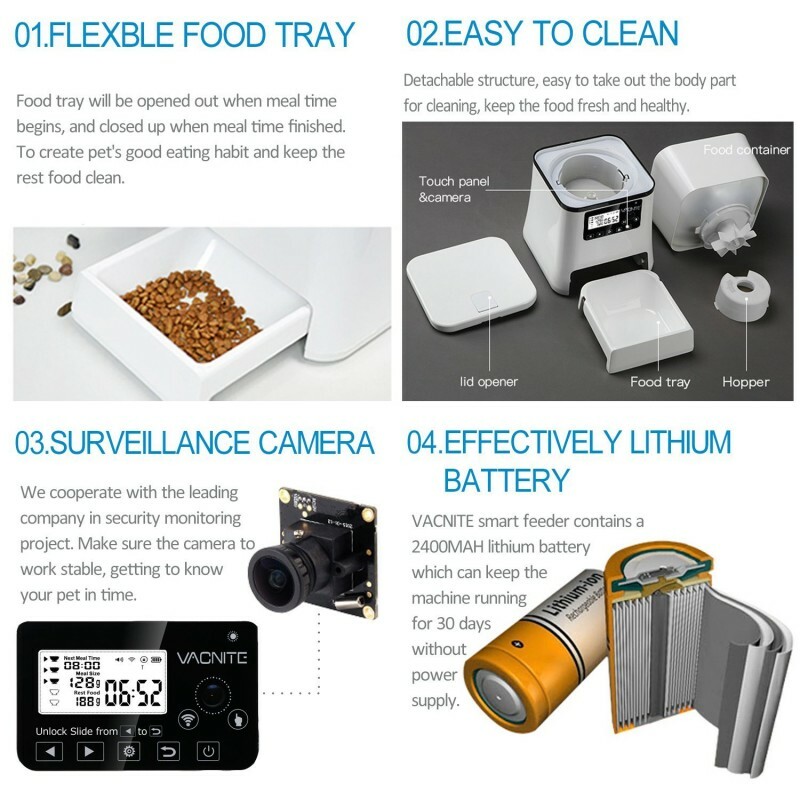 It allows you to feed your pet very healthy meal portions thanks to its professional weighing system. You can choose from two feeding modes to feed your pet depending on their needs. 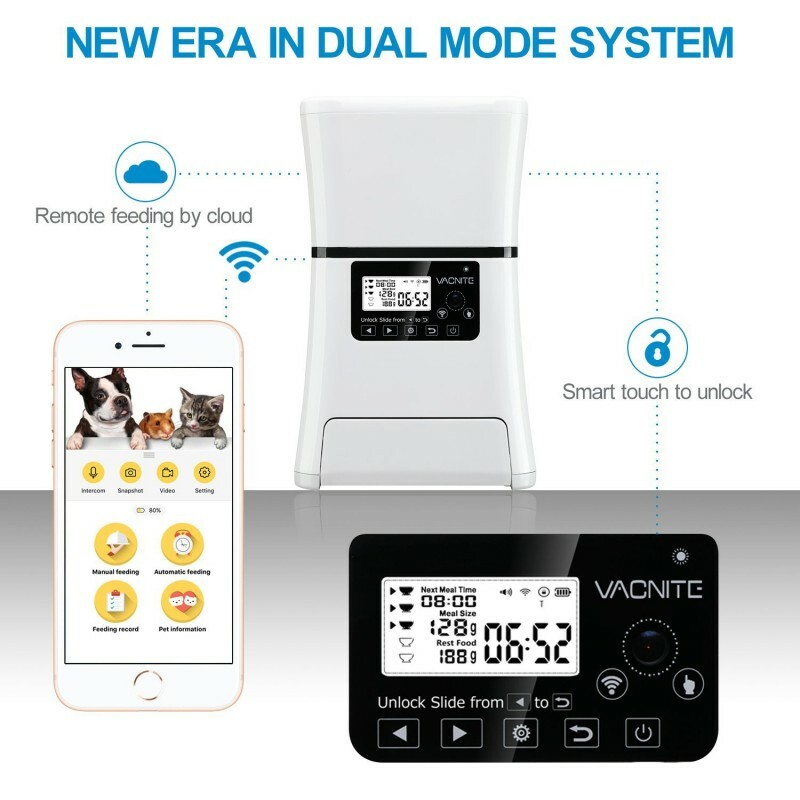 The automatic mode feeds your pet anytime while the manual mode adheres to your specified schedules. It is easy to operate thanks to an LCD interface that shows you the current settings and a voice prompts that guide you all through. You can specify the times you want your pets fed guided by different schedules. 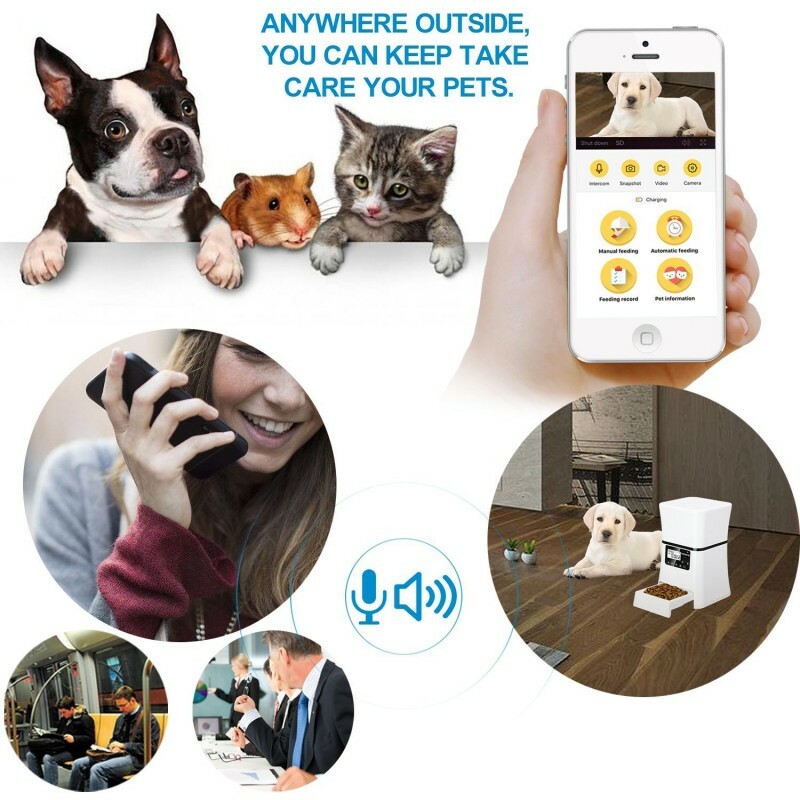 While you are away you can interact with your pet as if you are there thanks to its surveillance camera and your recorded voice. It also sends you notifications and analysis of what your pet has been fed when you were away. 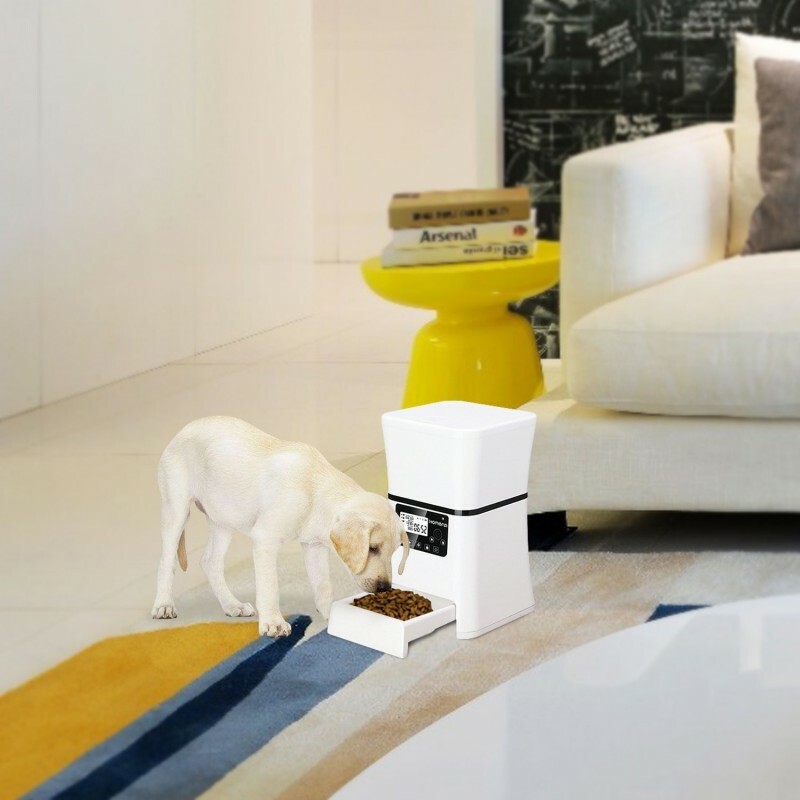 You can use it to feed your pet both wet and dry food. 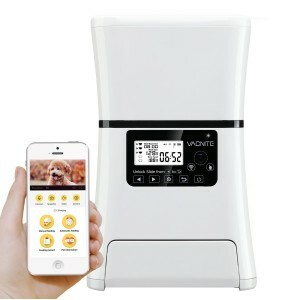 It comes with an alarm that goes off when your pet's feeding has begun which can be quite annoying and noisy. It only works on a 2.4 GHz Wi-Fi and not 5 GHz Wi-Fi.